This is my first horror-ghost-like novel of 2017! Yeayy! And guys oh guys, it was freaking awesome! I love how it end, how the cultures had been portraits and most of all I love how it achieve my expectation level. Honestly, Im kind of attracted to the book cover and also the book summary which urge me to buy it on the spot. 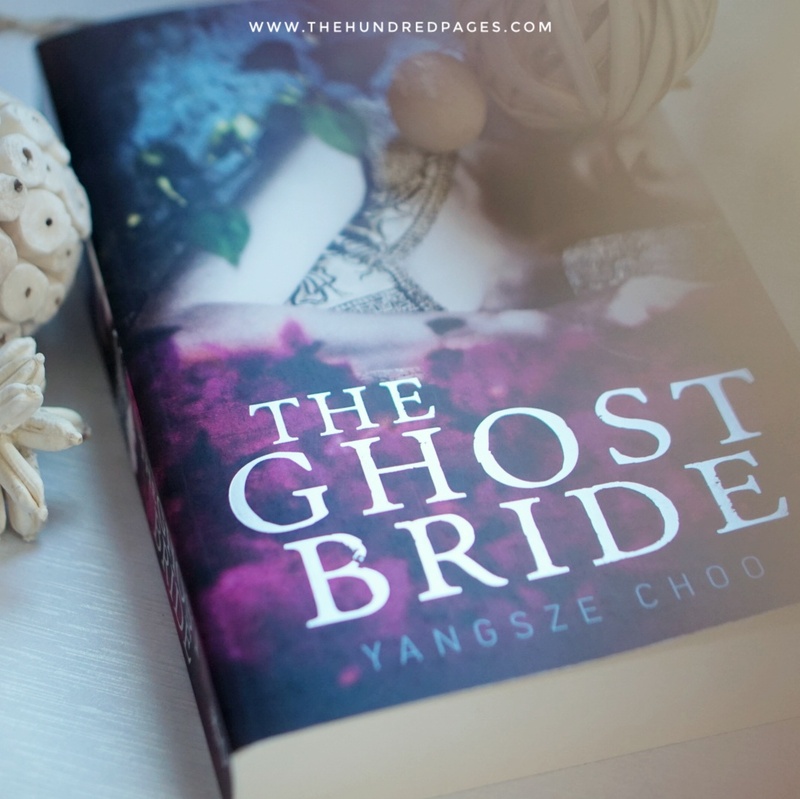 This book is about Li Lan who receive a news from her father to be betrothed to the dead of Lim’s son family. Well, of course she refuses, but then she and the whole family had been haunted. Hence to overturn the misfortune, Li Lan must embark unwilling journey to the afterworld to find the true reason that may be the root answer for all of their haunting. It was a discovery of bitter true and ehem, romance? Yeah indeed. Lols. I just love how horror-romance blend together, it is my fave genre at the moment. All of the horror that I think I’ve seen on chinese drama like there is hungry ghost, wandering spirit, how actually the afterworld had been portraits in local Chinese customs. Most of all I didnt find it hard to digest since it was held in Malaya and I feel the intimacy of reading local writers ghost story. Yangsze Choo is a fourth generation Malaysian of Chinese descent and I found she portraits the culture beautifully. I may warn you that sometimes when I read this book at midnight it will give me some goosebump and chill because yeah of course its gonna leave the reader marks of its genre right? – Read it with your own risk. It was a light reading, it does not have to push your brain too much about the plot cause it was rather straightforward. Its also have a little bit riddle and mystery that will feed your curiosity at a correct amount. There are also thrill in every Li Lan journey and I’ve been with her in her glorious and sadness moment (I love this girl despite how innocent and stupid she was) but she deserve someone to be loved. Hail yeah to the all sweet girls of the world. I love how one of the character resembles one of my main-fictional-crush (you know who). Choo totally nailed this character and now I’ve been listing the hero of this book on my best fictional boyfriend/husband. Muahahaha. I love the romance between Li Lan and **** (I’m sorry but this is a free spoiler review, so..), how they cope together in very well blend. Yaiee, my face went blushing, hahaha. If you are a fan of asian horror story like The Eye 10, Mae Nak or even chinese horror drama this book should reminisce about it. If you enjoying a light but also blend with low level of mystery solving than this is the book. If you also enjoy a plot twist about who will the main character end up is, this is the book (it have a lovely ending trust me). I may catch a glimpse on what other reviewer been said about this book, on of it is this book was not about a love story of the girl living in Malacca nor the guy who haunted her in her dream but the culture and heritage was stand out powerful yet beautifully written. All of sudden my patriotic spirit boosting up. 😀 I love Malaysia and terribly missed the old days.